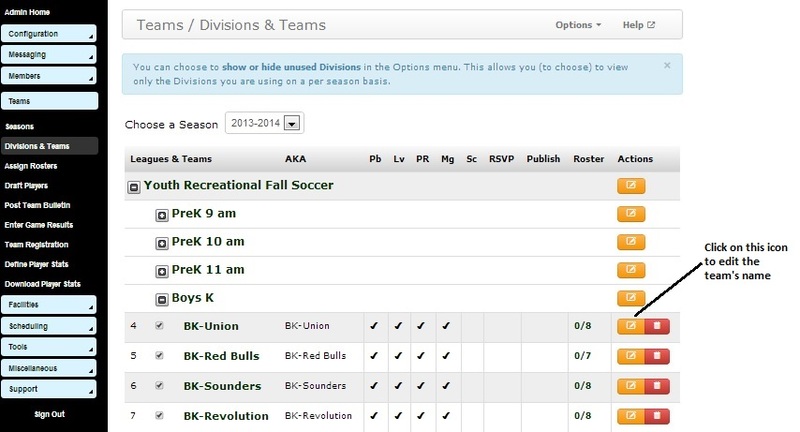 The Divisions & Teams link is used to create and name your teams. Very important note - Please only edit or change your league’s teams and don’t touch other leagues, travel, adult, etc. Log into the system at http://www.wwpsa.org and click on the Admin link in the top right hand corner. The teams for your league will be displayed. There are placeholder teams names within each league. Each team is named as follows B2-Name or G2-Name where B = Boy, G = Girl, the 2 represents the league’s grades and name represents the team's name number. PreK just have one team for each session time and are named differently since they don’t have team like the other leagues. 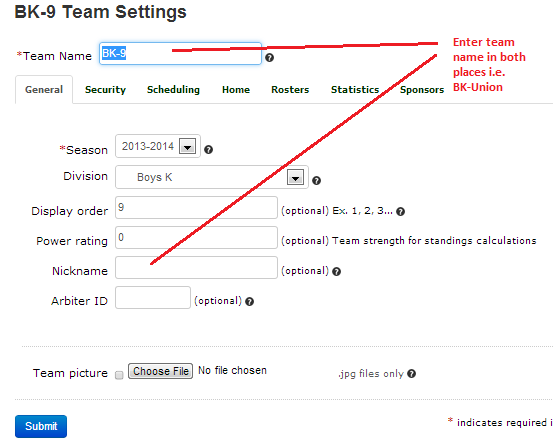 You can edit the team names by clicking on the edit button on the right of the team name. The button looks like a page with a pencil on top of it. Clicking on the trash can will delete the team – please don’t do that since it is easier to just deactivate and reactivate teams as we need them. If you need additional teams let me know and I will create for you since we want to set all the teams up with the same options or you can copy all setting from the existing teams.